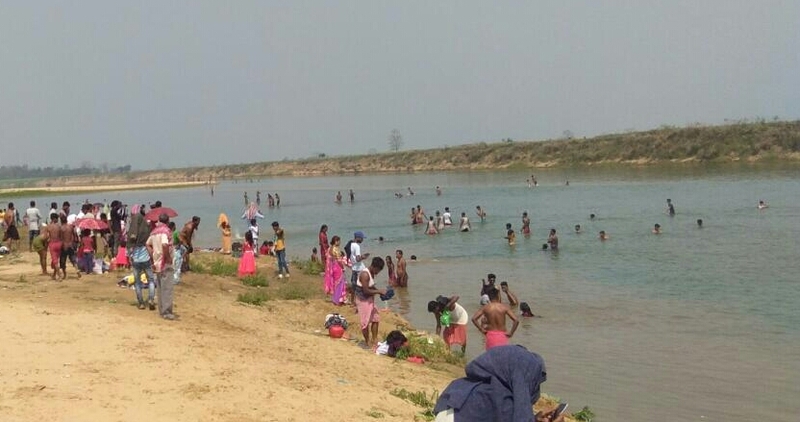 On Occasion of ‘Maha-astami’ thousands of devotees thronged to take a holy bath in the river Kapili at Thapalaguri near KarbAnglong-Hojai border in Assam on Saturday morning. The holy dip on the occasion of Maha-Ashtami is a religious ritual which is celebrated on the eighth day of the lunar month which falls in the Hindu month of Chaitra. “We profoundly believe that on the pious occasion of chaitra ashtami Goddess Ganga arrives in every river and as such Hindus of this area gather here and take a dip to seek the blessings of Maa Ganga,” Sarkar added. He further informed each and every Hindu family of the area joins this ceremony with pomp and gaiety. 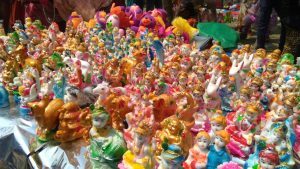 On this auspicious day, a fair is also held every year at Thapalguri where a large number people gather and enjoy the day after the sacred bath. 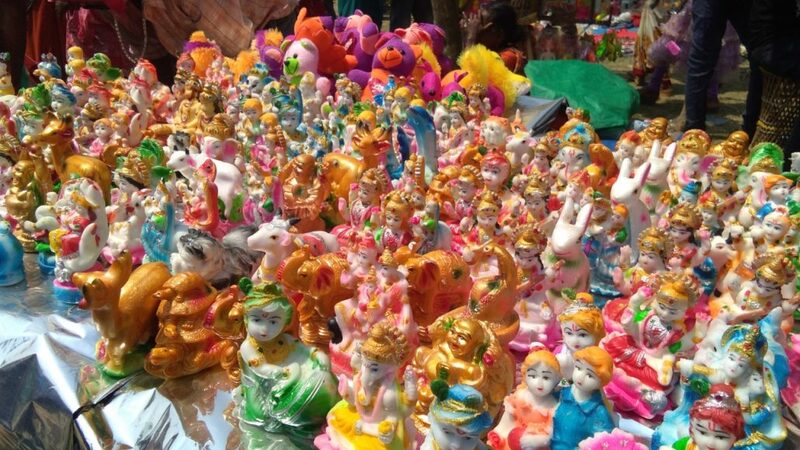 Also, large number of small vendors set up varieties of shop of delicious sweets, snacks, idols of gods and goddesses, musical instrument, etc.